One of the most successful countries from the Balkan region is Croatia. Since 1993 this country has always sent in songs of high quality with extraordinary stage presentations. 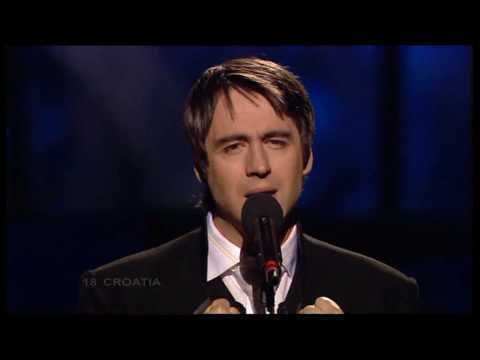 Often there has been the discussion about whether the Croatian entries should be sung in English or not but nevertheless there have been unforgettable contributions like "Maria Magdalena" sung by Doris Dragovic (Jerusalem 1999), "Neka mi ne svane" by Danijela (Birmingham 1998) or "Everything That I Want" by Vesna (Tallinn 2002). Every year there is a big national final called DORA. This years we are going to see a more traditional entry "Vukovi umiru sami" sung by Boris Nvokovic fest. Lado member. The most intersting thing of the song is Croatian choir. Croatia also has to qualify for the big final - like last year.